Sitting in the McGill home is always an adventure. The people who come and go here are ever on the cusp of one public health crisis or another. It is not uncommon to find a visitor walking in describing a water system, malaria coordination, and, today, sanitation. Steven, known as the “Bog Man”, dropped by this morning and within a few moments I was lured into the latest hope: turning human waste from latrines into fertilizer. Jim McGill, who works primarily on water and a recent convert to what a pit latrine can do to combat amebic dysentery, was quick to hand me a book to peruse. It’s title, “What does your poo tell you? All of this was over lunch- very tasty- with Kate from Water for People and an engineer, Anthony. I first heard about the pit latrines three years ago, but only last year did I encounter the idea that you could use human waste as a fertilizer. (If this makes you squeamish don’t worry your plumbing is in doors). This year though the conversation about sanitation and latrines has reached an important stage: income generating. These are the wires of mission work in Malawi: public health and entrepreneurialism. When you cross these two, things really start to happen. Three years ago the conversation was a modest hope of selling subsidized toilets to folks here in the north. The benefits of these “outhouses” is monumental, yet the value is unforeseen by most. They can free families from a persistent, curable disease that often goes untreated is the claim, but freedom is not always an easy concept to grasp by those who live without its power. The path to freedom in this instance is very steep. To see freedom from dysentery, a village needs 70% of its households to have gone from poor hygiene practice to healthy practice. 70% would then be the “tipping point” toward eliminating one of the big four in any village. The big four are malaria, HIV/AIDS, dysentery, and malnutrition. Ever before all discussions seems to be a kind of cart and horse, chicken and egg debate. Which one first? Which one is the priority? Yet, no matter what the priority it is the presence or absence of power- which actually determines the pecking order. So it seems you start everywhere hoping one will take. The recent conversation around latrines is trying to cross the wires of mission in Malawi: how can you take a public health issue and turn a modest profit? How can someone be motivated to make a significant change in their life without a very concrete benefit? In other words, how do you make poop pay? Because without this the chances of generating the social power of 70% is near hopeless. In a country where everyone is ready to sell something as the only means of generating cash, finding something to sell is a great motivator. Yet, how in the world can you convince someone to collect their feces to sell, let alone find a buyer? Easier than it would seem. Malawians are primarily farmers who want to see results. Hence they are not sold so much on concepts or ideas as they are on yields- think cash. If you add fertilizer made from feces, your tomatoes grow bigger. If you spray diluted urine on your corn, they start grow faster and produce more maize. More crops mean something to sell. Something that will create more things to sell is valuable. So the proof is there, but now comes the risk. To do this right, everyone must have a fair share of the enterprise. In other words, the people who make the toilets (masons), the people who promote the toilets (Bog Man et al), and the people who use the toilets, should each have a share of the risk involved. This is much slower way of bringing public health to a village, but it is the right way. Each one of these three need to have a share in the success or failure of the enterprise. Success in this instance would be the sale of manure made in a “sky loo” by a farmer. The risk of the promoters comes in subsidies and guarantees. No one would be motivated to risk any of these if there were not cooperation by all three. Undercutting this effort is the other form of public health effort, headed up primarily by UNICEF. This effort is best categorized as the big “give away.” The benefit of this method is that it builds confidence in the west that something is happening now. This is a huge benefit when the word crisis gets bandied about. Yet, in the end, this method undercuts any market formation. Why would you buy something you can get for free? And no NGO is willing to give everyone everything. While more people may get a sanitary toilet quicker than in the entrepreneurial model, there is great evidence to show there is no sustainable impact nor the relationship that is necessary for such an innovation to impact long held habits and beliefs. The greatest difference though is one of power. In the UN based model the power stays with the West. We determine the number, we determine the distribution, and we determine the price. In essence we hold all the cards. Who has the power is the question I have learned to ask when working with Malawi. If I hold the power over others, then I have taken away something more precious than what I hoped to offer. This question must be asked more and more as we get involved with Malawi or any country racked with extreme poverty. For to give help but keep the power, ultimately dissolves as fast as it appears. If you give people power, though, the change goes deep. And so the question remains, how do you make poop pay? I preached the early service- the English service. The current sanctuary of Mchengatuba is a long mud hut with a low slung roof. The only other part of the building is a “vestry” directly behind chancel. Were it not for the thousands who can gather here on any given Sunday, the building would be a truly sad moment. As the choirs warmed up the early arrivals, I sat in the tight windowless vestry with twelve elders. They were scrambling to figure out what hymns should go with I John 4:7. “We are saved” I said,” because God loved us first.” “Mercy,” I said, “is the theme of the sermon.” This prompted some ideas from the paperback hymnal they all carried, their names penned to the top. The church doesn’t stock these. Next came the discussion of choirs. For this service there would be five choirs. The week prior, when I took part in a joint English-Tambuka service, there were twelve. So it was clear to me: I was the warm up band for the big show at 10:00. With some hymns everyone could sing we all entered through the back door. At this point there were about 300 people (an hour later, when I was given the pulpit it would be three times this many). Malawians don’t come to church at a certain time. And they don’t worry about sitting still. Later in the service one of the members of the “adult choir” sang with a baby on her back. When the baby started to cry someone simply came and took the child. The song was never interrupted, the mother never lost her rhythm in the dance. Today was a big Sunday. My presence at the church last week had spurred the elders to a point of decision: they would stand with the pastor and deal harshly with the members of the youth choir who had caused problems. While I wanted this for Norman, I was still not convinced that so many of them were to blame for trying to extort money (my hunch is that there were at least two parents who were more at fault than their children). But I don’t know this for sure. So I preached mercy. I told the story of Jacob at Bethel, how the man who was blessed and given a vision of a wonderful life was not such a great guy at that moment. When God came to him at Bethel, Jacob was a liar, a thief, and a man on the run. He was everything we would not want to bless. Again and again I came back to the theme that before Jacob was a good man, before he was something God treated him like he was everything. That’s been my experience of mercy. Later that night forty of the elders, and more importantly the district leaders from all but two of the area churches gathered to discuss my time in Mchengatuba. The gathering was Norman’s moment of restoration and it felt like it. The tide was turning. As each elder rose to introduce themselves a giddiness filled the air. It may just be the knowledge that a great meal was moments away, but it felt like something more. After the meal the first person to give a speech was the session clerk. His words were well chosen and, while he spoke from notes, it was clear that his heart had been poured onto the page. As is often the case in Malawi, he showed how much he had listened to my sermon by offering it again, but in a new context. Here he said we all make mistakes, let’s begin again with mercy. The evening wound up soon after as both Norman and I didn’t impose a pastoral discourse to the clerk’s speech. He truly spoke enough for all. And he said it well. Yet as the final words were offered, I was sad. I was sad because this was not just a gathering of a church; it was a gathering of a community. More than half the people in Mchengatuba are Presbyterians and thus members of the church. The other half of the people are Roman Catholics. I was sad because I knew this kind of gathering was unprecedented. What an amazing opportunity for community, for people to gather and discuss. As we drove away I could see this still going on and I wondered why it was so hard for people in any place to be together and see what life has in store for them. I am glad the tide is turning in Mchengatuba. I hope it rises high. Jim McGill was excited. He wanted to show me a “spread sheet.” I’ve grown accustomed to what excites Jim and it may need a bit of translation. This is a man who spends his day talking water tables and latrine distribution strategies. What excites him may or may not hit your radar. Part of the translation is to find a sense of what it means to change the world. In the U.S., we live in a world that has been made for us. Pioneers, inventors, city planners, founders, benefactors, and federal programs have created a safe place where the lights light, the toilets flush, the traffic flows, and, for us in Northern New York, the snow gets plowed. Where and how all of this came to be is a mystery to most of us. Try to imagine for just a moment how you would bring water to your home. Take away the water lines, the spigots, the sinks: how would you get water if none of these things were there. This is where Jim McGill comes in. Village after village in Malawi are still living without accessible clean water. Let’s take away the convenience of the water flowing to a particular home. That’s a “pipe” dream in the literal sense. Just having drinkable water, water that is not brackish, or polluted by livestock and people trudging to and from it. Jim brings two options: shallow wells or bore holes. The first costs approximately $350, the second nearly $6,000. Lucky are the villages where shallow wells are possible for in a land of extreme poverty, the former is so out of reach you can imagine how likely a bore hole would be. Through the last twenty years, Jim has worked to bring water to Malawi. He does this with a quiet presence and echoes of a southern drawl. His day often consists more in politics and problem solving with folks from the government, from the church, and, then, there are the local chiefs and headman than it does with actual water. It turns out that people are an essential aspect to water. Funds find their way to Jim from as humble a source as you and me and from as grand and large an organization as the World Bank. It is this organization that has funded a new direction for him. Partnering with a group called, Water for People, Jim is helping to compliment clean water with sanitation. Clean water and sanitation go together. I say this as someone who needed to learn it. As far as I knew these things have always been there. In most Malawian villages though good sanitation (i.e., a proper toilet and waste system) is not a reality. What is a reality is dysentery. Dysentery is what I would call the Chimbuzi Blues. Chimbuzi is the word for toilet in Tumbuka. Bad chimbuzis are just a part of life. And they bring with them a terrible, wasting scourge that robs Malawians of health on a daily basis. After a number of years of simply trying to sell toilets, the effort is being ramped up to include more parties. Essentially, they are looking for the right catalyst. By introducing more parties and more possibilities they may just find the tipping point: the place that energizes the consumers to buy a toilet. It turns out changing the world isn’t just telling people how to live or what they need. It’s more like a long awkward dance lesson that stumbles and steps on toes until “voila” you’re dancing. It’s hard to tell what it will be, but it will be. At home in Watertown I know the benefits of a toilet after living in places where there are none. After many a Mexico Mission where the port-o-potties are a not for the faint of heart or in the bush of Africa where the “loo” is often the second bush to the left, I always return home thankful for the most creature of comforts. Yet, I also return determined to support people like Jim. He is the man who came before. 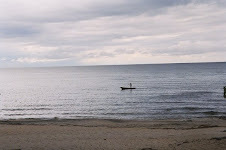 He is the one who brings a standard of life to Malawi that someday, God willing, they will assume is just a part of life. Someday Malawians will wonder where water comes from and be unable to tell you where the “waste plant” can be found. On that day, their children will, like ours, be needing someone answer: what is dysentery? Then the Chimbuzi blues will be a folk tune, not a popular tune. This was my claim three years ago and it still holds. Africa, no matter how desperate the poverty, no matter how bizarre the situation you step into, is a physically overwhelming place. Malawi is a part of Africa that definitely doesn’t disappoint. And our drive on Tuesday was all this and more. To get to Nyika you drive up M1 to the Rumphi exit and take a left. This road winds around a river and leads to the end of the tarmac just beyond the city itself. Rumphi is more of a trading center for many villages. It has the feel of a western town with all of its life on the street itself. Driving a car through the throngs and vendors, the trucks and bicycles is not for the faint of heart. On my first visit to Nyika the roads beyond Rumphi were so bad that I held my breath as we got onto the dirt road with 110 km to go. Yet, the road kept getting better and better. Rumor is a uranium mine is up and running and the improvement of this road may be part of the deal. Good road or not you definitely knew you were headed into the bush. 60 km in you start to gain altitude; the bush gives way to forest; and with each bend in the road you get a glimpse of the mountain range you are now a part of. And then, with about 20 km left, you reach the plateau and grasslands begin. The grass lands, or as Kathy called them, “hoof and horn mesa” remembering the zoo of our childhood, the grasslands are what make Nyika special. The camp at Nyika is a series of chalets with deep fireplaces. I start with the fireplaces as a way to say: it was very cold at night. We were given a cook who prepared all our meals on a wood burning stove and schlepped in the tree trunks he stacked in the fireplace to burn through the night. Not long after we arrived and checked in Ethan and I took off down a path. The manager assured us we were free to walk or drive on all the paths/roads in the park. Within five minutes we spotted our first roan antellope, and then an eland, and then Zebra, and then gazelle. Soon we were talking in the hushed tones of experienced safari guides doing a documentary. The next day we spent three hours driving the trails and seeing small herds of these animals. We would stop to watch the zebra play or listen to the gazelle give off their warning whistle. Dave and Ethan argued over whether they were seeing an eland or an antelope until they realized that waterbuck have a black mask around their eyes and eland do not. The evenings at the chalet were “camp” like. We huddled around the fire until its intensity forced us to move the furniture further and further away. On our third day we drove out and enjoyed the scenery more as we were not looking for the camp, but just noticing the park itself. Almost to the park gate we were given a parting gift, large baboons darted along the road and ran through the trees. I know some people feel guilty going on safari as they feel called to Africa to help, but what a missed opportunity. It would be like going to someone’s house when they have prepared a great meal and saying, “I’m fasting.” Africa is this wondrous, shocking, grand place. Most people, if they are so lucky to go, will only go once. If ever you find yourself in Africa, make sure to take a day to see what God has made. The itineration year is hard on some missionaries. Speaking about clean water is not Jim McGill’s idea of making a difference; bringing clean water is. He comes by this honestly. His father was a missionary, a physician, and Dr. McGill’s speeches at home were notorious for the obvious pain they brought him. “Jim has gotten a lot better,” was Jodi summation hoping to encourage her husband that there were a few more miles to go in perfecting his “interpretive” year at home. Yet I hope this year will prove intriguing. Jim will be speaking not only to clean water, but sanitation. For many people the project he is developing will add a whole different dimension to the world of sub-Saharan Africa, extreme poverty, and missions. A shallow well impacts about 250 people and changes a village. That’s the bonus of working with water: big impact on a lot of people. With sanitation, we are talking household to household. This is really hard work. Yet, I wonder how readily folks in the U.S. will understand just how daunting and needed this effort is. Will they get the need for toilets? I am not sure which one will be harder: bringing a sanitary life to villagers or convincing people back home to care. When Jodi spoke of a year of itineration it was a whole other universe. She spoke of schools and doctors and friendships. She will be called to do as much of the public speaking as Jim, only she never speaks of it as a burden. 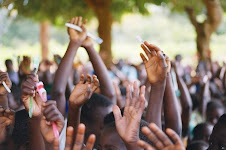 Perhaps it is teaching nursing students everyday that has opened up in her a deep conviction that conveying their experience in Malawi can make a difference too. The bitter part, which they both lamented, is the idea of putting their life on hold for a year. Yes, they will be a family; yes, there will be benefits to being in the U.S. (the power stays on all the time in Atlanta); and, yes, a year away will give them a renewed vision and connection to how they are part of the church sending missionaries. But it is also a year away. Spending three months on sabbatical has brought this very clear to me. Benefits, but also challenges. It was wonderful learning the ins and outs of running a house in Mzuzu. There is a plethora of tasks and people the McGills keep employed, helped in time of need, or just walking the straight and narrow. “It’s a lot of work being you,” I told Jodi, quoting a line from a Richard Russo novel. We could have benefited from their presence here during the summer and perhaps the conversations would have evolved more slowly. Yet, that was not to be. Now we are on our own. Well, that is a bit of stretch. We are surrounded by a caring staff, other missionaries who have been alerted to our green status, and many friends we’ve made in the last few years. As Jim and Jodi were loading the van and double checking a house they wouldn’t see for a year, they each came to me and said, “oh, and you can eat the fish.” The fish in question were small, fishtank size jobbies that had been caught in a nearby creek. After each offer I said thanks. I am still wondering if eating these fish is kind of hazing for newbies. I am pretty sure I am not going to eat the fish. My plan will be to tell the same to Paul and Darlene Heller as we depart. That, I am sure, will guarantee the fish will be alive a year from now when the McGills return. He also kept apologizing for the “short cuts.” The only way I can describe walking through Mchengatuba once you get off the main road is a spider web of backyards and front yards and back alleys. A remnant of the school children followed us until I took out the camera, took a picture, and turned the digital screen so they could see their images. As soon as they saw themselves they erupted in glee and then ran back the way they came. With the children gone and a few more steps taken we were now surrounded by old women, “gogos.” These “gogos” were very excited to see us. They had been given iron sheets for roofing by Sam. But Sam had made it clear: these iron sheets were not from him, they were from Watertown. “This is Fred Garry,” he declared, “from Watertown.” The shouts of glee were again over seeing an image, but this time it was seeing someone from the place that gave the iron sheets. Iron sheets are big in Malawi. With iron sheets for a roof your mud hut will last longer and will not collapse during the rainy season. The first widow, Mpini, shook my hand repeatedly and said, “towonga chomeni,” thank you very much. She lived in the smallest hut I’ve seen so far in Africa. It was more than small; it was more like an enclosure than a home. In this abode she kept her six grandchildren alive. I am not sure it is much more than that. Sam then took us to another widows home. “This house collapsed in the rainy season,” he said. “Mestard lives next door and that is how we came to know of her.” Mestard, like Sam, was a member of the choir who came to the North Country last July. The iron sheets, though, were not part of choir practice. The sheets come from monies donated in Watertown in December of 2006. Sam has made it a priority for us to insure that those funds go to help the poorest of the poor. Looking at the widow’s house, the iron sheets, and the people I thought this is much like my walk to the dambo itself. It’s filled with twists and turns, moments of life and death that somehow bring people together. As I abide in Malawi in a lovely home high on a hill (nambo in Tambuka) it is clear to me that my life is very permanent. My home and church are not in danger when the rains come. To abide in a place is to remain for a time along the way. My life is being punctuated by a time of abiding. To abide in Mpini’s house, to be her grandchild is to live a life that is somehow always abiding, dwelling in the impermanence and fragility. As you read this know that Mpini is praying for you and giving thanks for the people of Watertown. Sam Chirwa is a man of many schemes. In the US scheme has a negative connotation, it suggests someone who is trying to do something underhanded. In Malawi, scheme means plan. And Sam has got a lot of plans. At last count: he’s running a bus service, opened a combination nursery, pre-K, and early elementary school, and in his off hours he’s chasing down candidates to be helped by our widow’s fund. I am pretty sure there are other schemes, but Sam has gotten to know Americans well enough that you don’t let them see how much you really have to do in Malawi to get ahead. The type of school he started is common in Malawi. Small, private schools dot the city of Mzuzu. What seems unusual is its tuition scheme and hiring practice. Widow’s grandchildren go for free and two widow’s have been hired to run the kitchen. As the children arrive at seven and stay until five food is a big concern. He has hired three young men to do the instruction. One of them I know is an orphan himself. The last scheme is what I had come to Mchengatuba to see today: the widows. Sam and Grace have spent the last year listening to people, taking recommendations, and doing interviews to find what I would call the most vulnerable people on earth. The widows they found live in houses not quite worthy of the title hut, raising many grand children, and somehow staying alive. These are the folks who can’t make the nominal school fees, whose diet consists of maize mush. They are the ones I think of when people put out a spread for us to eat. Sam led Ethan and I through a series of yards and side streets, past the house where someone had died and the body was being prepared for burial, and then through a marsh to an area just above it. This was the “dambo.” The dambo is the lowest part of the valley, the cheapest of the cheap real estate. In short order we were with some of the widows who had received iron sheets. Most of the widows were not at home as a funeral was in process. The ones that remained were most gracious and kind to thank us for the iron sheets. Iron sheets are big in Malawi. They are the difference between a house that makes it through the rainy season or one that doesn’t. Sam and Grace had tracked down the ones who needed help the most and worked with them to insure that the iron sheets would create a better house for them. After meeting the widows we wound our way back through the alleys and back yards and side streets to his house. He had prepared rice and tea for us to share. Sitting in his living room I was struck by its comparative opulence. Sam’s house, while in Mchengatuba, was far from the dambo. It was strange to think that such a distance could be seen in such proximity. As we ate the rice and tea I spied a silver frame on the entertainment center. On the consul was a silver frame with two pictures. One had Sam standing next to Lorraine Revelle and another had him standing next to Liz Bonisteel. While Sam has been in Liz’s house many times and I was there when Lorraine did her great work with choir, I was still surprised to see them. It was as if the distance of continents disappeared. It was strange to think that in Sam’s house I felt closer to Watertown than I did the dambo just a few hundred yards away. In a few weeks four women from Canton and four from Watertown will walk the same circuitous path that leads from Sam’s house to the dambo. It’s hard to know what they will see or what they will think. I hope they will find a sense of solidarity and understanding with the widows I cannot. In a real sense I am not allowed to see and know these things. Being a white pastor in Malawi means the widows will only see me as a kind of apparition. What a fun day yesterday! In the morning when I went with Jodi to drop off the boys at school, I met the Headmaster and his wife, some teachers, and two students from M.I.T. who had come to install sixteen computers at the school. The MIT students were very friendly and we chatted for a little bit and introduced ourselves. I met Justin and then a girl whose name is unpronounceable to me. Jodi asked her what kind of name it was and she said, Turkish. So off we went yakking it up about Turkey and where she had grown up and where I had visited when we were there last Fall. Ends up when her family moved to the U.S. they ended up in Albany (NY, of course). For how vast this world is, it always amazes me how there is also such a connectedness and things are so interrelated. A few hours later a group of women met at an Indian restaurant for a goodbye lunch for Jodi’s friend who is moving back to England at the end of the month. It was such a fun eclectic group. The women were from Ireland, India, French Canada, England, Malawi, and then the two of us from the U.S. with Jodi being an ex-patriot (her term, not mine). It was really wonderful to be part of their group and listen to what their life in Malawi is like. I really love my life at home, but it’s amazing and I’m so glad to be living a totally different one for a short time. I am growing convinced that no one in Mchengtuba thought they would see me again. When the choir returned last August, triumphant and filled to overflowing with gifts, there must have been a Vegas moment: what happened there, stays there. Because the story some of the members concocted and the foolishness that prevailed can only be carried on by people believing there is no one who can challenge them. Well . . . so much for that theory. There is another possibility that any attempt to redirct the donation to build the church into personal hands could have transpired before I returned and then it would have been too late. Malawi is a tough place to get a refund. At first glance the confusion, the awkwardness, the greed is why many people don’t want to get involved with places of extreme poverty. The missionaries, the church leaders, and even the ex-patriots don’t like to expose visitors too much to this. For this reason it is rare to hear them complain, to speak ill. Like the curtain in the Wizard of Oz, you don’t want the folks from Kansas seeing any of this. It’s not that I like awkward moments, but for me, that’s life. And when you are talking about Malawi real life has a funny way of intruding on a regular basis. A part of me doesn’t trust a situation until I know the broken parts and the less than desirable aspects. Speaking with Jim and Jodi McGill about this it was clear not everyone is as flexible and more importantly not everyone continues their support once they know the potential pitfalls of working with extreme poverty. All right, not everyone gets this. And a big part of me wants to be just as careful not to offend. Another part says, Do you really believe you are going to make a difference in a context like this, facing daunting challenges like these and all will be nice? You can’t just say “this is Africa” every time something goes South, but easy . . . here? No. As I walked around Mchengatuba Tuesday there was a common look on the faces of the people I met: I can’t believe you are here. On some level this is because Mchengatuba is not rife with American guests. This is a hard scrabble set of streets. Most of Mzuzu is just as poor, but Mchengatuba seems to have an edge. The people smile as I pass, the children yell, Mzungu, just as in other neighborhoods, but there is something different. Shaking hands had a whole different meaning here. It was what John said, “we have seen . . . we have touched.” It was as if this meant a whole other level of support. I am starting to believe that people figured if there was conflict, if there was a problem, no way would he come here. Another theory gone. I want to say that is what called to me. Conflict, challenge, Holy Spirit: don’t these things go together? Well I think we’ve proven what we always guessed . . . we probably would have been the first family on the wagon train group on the Oregon Trail to bite the dust. Fred got sick the day after we landed and I got sick six days later (and we actually have food, shelter, and several layers of clothing). Though I have to say one thing I didn’t anticipate was no heating. I assumed there was no air conditioning but somehow I never factored in the lack of a heater (we do have a water heater though). Besides this minor glitch we are adjusting pretty well I’d say. The boys started school this week. Monday was a holiday- sort of. They call it Freedom Day but then the government changed the day they celebrate it and everyone was very confused whether it was a holiday or not. Most of the banks and businesses were open but some schools were closed. Tuesday, David started school and enjoyed it but thought the grade they put him (standard 4) was a little too challenging. It would be the equivalent of 3rd grade except it is in the middle fo the year as they start in January. The encouraging part about it is that he has the best teacher in the school. Ethan started on Wednesday and is going to be an in 1 day and out student. He thought recess was too long- 30 minutes of “football” and an one and half hour of lunch and recess, and classroom time was too slow and kids just shouted out answers. He seemed to find this disconcerting. My thought was there are only nine students wouldn’t that lead to a somewhat informal discussion? Final assessment- Ethan . . . no school; David . . . loving it and making friends (his teacher had them jumping to see who could come closest to touching the classroom ceiling- David and a girl named Hydra were the finalists with David winning. Now he’s telling me they arm wrestled too). You can see how David might fit into this scenario. I went for a walk yesterday through Mchengatuba. This is the ramshackle “suburb” of Malawi’s most major northern city, Mzuzu. There are approximately 5000 folks living along the rutted dirt road that crisscrosses the clusters of small homes. Walking with me were two of the members of the choir that came and toured the North Country last summer. Sam Chirwa and Rev. Norman Hara were my escorts. I felt like a foreign correspondent walking through an exotic location as I queried them about what it means to live in Mchengatuba. The road we walked had no sign to name it. You could hear choirs practicing in various houses. Cars drove on whatever side had the least potholes. We walked past “the bishop’s house”. And then a few doors down we came to Grace Chiumia’s house. Inside her front yard a new choir called “Revival” was practicing. Two members from the choir that came to us were now members of this one. Mestard, the smiling, ever happy young man was one. He came right over and shook my hand again and again. He seemed to want to communicate with his hands as his English was never very good. The other member was Fatuma came and shook my hand as well. Fatuma was the youngest member of the original choir yet displayed a level of maturity beyond her years. Although it wasn’t planned, I knew Fatuma’s house was a few doors down, so I asked if I could meet her parents. She said, of course, and went off to warn them. What happened next threw me a bit. My intent this summer is to ask each choir member, what has their time in the US come to mean to them? Yet each time I asked Fatuma a question, others gave the answers for her. She was left to nod her approval or twist her face into an expression that said not quite. The only thing she actually got in was that Niagara falls was great. Later that night I would ask our missionary hosts if this was an anomaly or what they would expect. Actually I asked if this was because Fatuma was young or a woman. They said, “both.” At the moment of the conversation though I didn’t know how to take her inability to speak for herself. A part of me just wants to call it sexism that kept Fatuma quiet. And in Malawi there a culture that devalues women in ways that seems shocking to a Westerner. But I have been here enough to know that is way too simplistic. Fatuma’s silence was not what I wanted, yet as I walked away I remembered what her father said about the change he noted in her: when she prays her words have a quality that is significant. So does he value her voice in places of eternal value? You can look to the humble dwelling of the Mkhadawire family and write off the parts of life here that are “less” as just a lack of “development.” You can until you realize that Mr. Mkhandawire is an electrical engineer who is spending his retirement offering his services to his country trying to pioneer renewable energy sources. Abiding in Mchengatuba wont be dull. Whatever happened to the luggage? For three days our luggage sat in Nairobi. We were assured by the harried woman at the Kenya Airways transfer desk that our luggage was going to Malawi as we flew to Tanzania. I took a breath to ask another question but knew it was futile. There are no assurances with luggage and when your luggage ventures into Africa the lack of assurance borders on the wish dream. “Can we invite it come?” I asked. “Yes. Yes. We will do that.” And sure enough this invitation was accepted and our seven bags were sent to Lilongwe. Making our second trip out to the airport everyone was a bit cranky in the car. It’s about a forty minute drive out into the bush to reach the Kinsasha International Airport. There are maybe four or five arrivals a piece per day. You can tell it’s arrival time when all the taxi drivers stand near the door; you can tell it’s departure time when there are people standing at the counters to check bags. We arrived in between these two windows so the airport had the feeling of a large coffee break. (I should be correct here: tea break). No one at Kenya Air knew what we were talking about so I just headed for the baggage area. Of course this was the first time someone stopped me when I walked back through customs. Verging on a bit of old-clothes-fatigue I bristled as I followed the police officer back to Kenya Airways where we were asked to wait for the baggage master. The baggage master then took us right back to where we were only this time the police officer was gone. As we rounded the corner David let out a shout, “there they are!” And sure enough there were our seven bags all safe and accounted for. Yet, what David didn’t know was that the battle was only half won. Getting your bags is a minor victory as many visitors to Malawi have not so fortunate. So I didn’t challenge his glee. But I knew the second hurdle was before us: the customs agent. Seated beside our bags was this guardian of the nation. She was at her station so to speak, but she was not being very vigilant. In fact, she was on her cell phone and wouldn’t make eye contact. The baggage master went and retrieved the necessary documents for late luggage and after we signed it the customs agent could feel our stare. Still without looking up she waved us forward. Now I should be happy that all the luggage arrived and that nothing was taken or confiscated or duty imposed, but I wasn’t. I had collared up. Always in the past my clergy collar had been the key to working our way through customs without any hassles. And here I was collared up and not even a glance. I hate to admit it but I wanted something for the effort. On Sunday morning we arrived at Mchengatuba for tea at 8:00 am. Really though we were there for a preview, for a review, for a time get the story straight. Norman walked me through his version. He highlighted the way the choir were quick to claim that the money given to pay for the roof of the church was indeed theirs. Listening to the foolishness that had transpired I couldn’t help but wonder how God endures us. How often he laments the choice of a church to bring the redemption of his son to the world. I made it clear what I was going to say and then during the church service I offered the same with a twist. The twist was a the story of Jesus feeding the five thousand. I said, after all the offerings were taken and all the bills were paid it was just like the loaves and the fishes, there were leftovers. What was interesting was that before the church service many of the choir members came and greeted me. Afterward only Anthony. I am still not convinced Anthony understands a great deal. Anthony is consistent with many Malawians who were most likely malnourished as children. There is only a certain level or critical thinking possible for him and many others. Afterwards we gathered in Norman and Jennifer’s home to share a meal. There was a palpable sense of relief in the air. It was as if a corner had been turned. I didn’t share this feeling. My unease came from seeing Chemwemwe’s father seated in the first row of pews during the worship service. That is a bold man. Something tells me my explanation to the congregation may have garnered some support for Rev. Harra, but the real battle was yet to come. It may just be my imagination, but people like that are hard to beat. There was a look on his face that said, let us see what tomorrow brings. Kathy noted this as well: during the service, Lusaka came over to him, knelt down and spoke something to him. Now people come and go during a Tambuka service all the time. So it wasn’t odd that someone walked through the worship service to say something to someone. It was odd that he did so with this man on this Sunday. I hope for the day when I can sit with both Lusako’s and Chemwemwe’s families and listen to what they have made of all we gave to their children. It will be interesting to hear how they justify what they have done and said. Something tells me it will also be sad. There are three basic rules to driving in Malawi: don’t drive at night, keep to the left, and watch out for tobacco trucks. The last rule is probably the most important, especially if rule number one is not being followed. Each year beginning in April the tobacco harvest calls for the resurrection of the most decrepit, slap dash, large trucks you can imagine. They are only used for a short time each year so maintenance is not a high priority. With such a lack of attention, the trucks are terribly prone to breaking down on the windy, mountainous M1 that is Malawi’s main artery for commerce. When a tobacco truck breaks down the driver puts branches on the road to warn oncoming traffic that there is a semitruck occupying the entire lane ahead. The only problem is that you can’t see these branches at night. Were it one or two on the road a driver could use caution, but these trucks litter the highway. I imagine the drivers don’t base their delivery time on the distance, but on the number of breakdowns to be expected. Yet, rule number one is really made problematic not by tobacco truck but by the sheer darkness that cloaks the land at 6:00 pm. As you might expect 6:00 is a bit too early for life to stop so the highway has plenty of people, bicycles, livestock, vendors, and the occasional oncoming car- the last actually helps determine what obstacles are forthcoming if they cut off their high beams. “Keep to the left” is a rule because the British hoodwinked yet another country into buying automobiles with the steering wheel on the wrong side. I was trying to follow this rule yesterday and learned the hard way that there are caveats. Caveat #1: Don’t keep too far to the left, especially when said leftside leads down to a gorge and certain death. Now I was trying to avoid a rut in the dirt road that would have some geographers willing to apply the title canyon, but it was my fault that I steered too clear. All of a sudden people in the back yelled, “stop, stop.” There was enough panic in their voice to suggest that this was not to take a picture. They were on the side that was heading for the gorge; their panic was well deserved. Everyone quickly piled out of the car so I could attempt to steer away from the ditch without endangering more people unnecessarily. The owner of the vehicle, Jim McGill, sauntered to my side, sized up my situation, and said, “welcome to Africa.” His wife began to take pictures . . . and then my wife did as well. Twenty minutes of rock placing, pushing and heaving left us no closer. At this point Jim tried his hand by backing up the vehicle. Within a few seconds the Land Rover surpassed precarious and now reached perilous. Just when I thought it couldn’t get more stressful the village we were coming to visit surrounded us and begged us to come as they had been awaiting our arrival for quite awhile. At this moment Jim made a decision: I would go on to make the speeches and receive the gifts; he would stay back and see if he could get the Land Rover back on the road. I don’t remember a lot of what came next. It was rather surreal as the van was surrounded by women singing and dancing, older women trilling who led us to a row of rather annoyed village headmen. Within thirty minutes, though, the dancing and singing and speech making had to be cut short due to darkness. There was no electricity or running water in the village. And then came the wait. While we waited, a meal was served that by African standards was a feast. I am glad to say that I thought about “abiding”; I must confess I wondered if I would be a good person to abide in Africa. Just when there was enough self loathing to have effect, I heard something. You could just barely make out some shouting. The shouting kept getting louder and louder until you could make out a chant of victory and then the headlights of the Land Rover broke the darkness of the village. It was the Land Rover filled to overflowing with very excited men. It turned out a truck happened down this dirt road in the middle of the bush. Of course the driver knew Jim and was glad to pull him out. Arriving with Jim and the villagers were all the people who had been in the Land Rover with Kathy and I. They were happy the car was free, but now they were nervous. It took a few moments to discern their concern: Jim McGill was just crazy enough to let me try to drive back through the bush in the dark after my less than stellar performance. And true to form he was quick to ask, “are you ready for the drive back?” “I thought about it,” I said. “I am going to be here 10 weeks. I need to face it and not run.” He was the only person who liked my decision. The people I drove in with were not excited about driving two hours home in the dark in the bush with me at the wheel. Yet, after all the proper speeches of thanks were offered, we all piled in. The first step was to go through the gulch/canyon/place of my earlier failure. As I drove past the ditch the car was quiet. As we made our way through the tea plantation that abuts the village, the car was quiet. When we were neared the end of the dirt road, the chatter began. People relaxed a little. Everyone one relaxed except for me and Mr. Chirwa. Sitting shotgun, Mr. Chirwa gave me good advice as we drove and there was a quiet message not to let down so soon. He knew that reaching the tarmac was half the challenge. Navigating the rough dirt road in the bush was hard, but driving on a Malawian highway at night was just plain dangerous. With each curve, each passing car, each branch in the road I could sense Mr. Chirwa was not going to let down. He kept his eye on me and the road and offered the foreknowledge of someone who had made this drive countless times. And then, reaching Mzuzu, he leaned closer and said something that was a gift, “See how the air changes. We are near the city.” I took this to mean: while I passed the test, I needed to stay in my current occupation. Abiding in Africa seems to render you transparent quickly. While I might have let a fear linger for a time in the U.S., here it is dangerous. In Watertown, I could have avoided a problem like this for quite some time; in the bush, there is a sense of now or never. I need to drive the car; I need to learn; I can’t abide in Africa and be driven everywhere. It is not real life, nor is it in the budget. So often I hear people speak about their life and it is clear that they are completely disconnected from the place they live. Televisions, computers, a nice house, cell phones they all help to fashion a world of our own. We live in a place without being in it. I don’t think that is even remotely possible in Africa. I have a cell phone here; I am living in a nice house; and, I can get on line (just not as fast). Yet, what I can’t do is live in these. I can’t abide in them here. You can’t remove yourself with these. Abiding in Africa seems to be about other people and being a person with others. It is certainly not about things or money or a sense of self-fulfillment that is often attempted with these. I know it seems a bit mundane, but I never thought abiding meant people. Jesus says, “Abide in me”. I never thought abiding would mean people. Abiding me, yes. Abiding in faith, yes. Abiding in a place, yes. Yet Jesus was a person. It just never seemed likely abiding would mean people. Standing by the driver’s side door and seeing the looks on the faces of the people I was going to drive home, I thought, you have their life in your hands. I don’t think this when I drive people around Watertown. Before we left one of the people in our car offered a prayer. I can’t remember wanting a prayer more. I wanted to abide in that prayer. The greatest challenge of preaching is that it is for all to hear. The sense we make of something with a friend or a spouse, the outrage we shout with a cadre of similar minded folks, even the vanities we express to ourselves to stave of the vagaries of life, all of these can be spoken without recrimination. Words flow from our lips like a river in early spring. Yet words from the pulpit, they are different. From the beginning of my sermon writing I took to a manuscript. On numerous occasions I have flirted with the idea of preaching extemporaneously, a few members have even expressed such a desire for me- although I suspect it is to fuel an image of a prior pastor of for the hope of novelty. I have kept to a manuscript for one reason: to be sure of what I am saying from the pulpit. Having a fertile imagination and a dexterous mind, I don’t lack the ability to speak “off the cuff.” I can do it; I just choose to force myself into the discipline of the manuscript. “O for an iron pen,” Jeremiah lamented. A pen that could transcribe events with the depth they deserve. The manuscript to me is the iron pen. Or like Habakkuk, write it down, write it down plainly for all to see. These visions and inspirations that arise out of scripture have such power, such intensity when seen in full, they demand a response as carved and crafted. In all of their power and intensity they are also more than can be contained. Who knows where the spirit blows? Perhaps I am just not as bold as I need to be, but I would rather abide with caution in all this powerful meaning for a time and emerged with a careful accounting of what the spirit wrought, than simply wade in and see what happens. Being in Africa I see the manuscript as a great luxury. There are no manuscripts in Malawi. There are no bulletins here. The hymnals are brought by the congregants if they are fortunate enough to have them. The instruments of the church are stomping feet, clapping hands, and the voice. On Sunday there were twelve choirs who sang. They didn’t know when or if they would sing. Some choirs were called upon to offer an anthem while people were processing, some sang while children came and went at their feet, and one choir was joined by other choir members who delighted in the opportunity to sing a song not often heard. Imagine someone rising out of the congregation in your home church and just joining the choir half way through the anthem. The pastor who offered the sermon on Sunday, one Rev. R.V. Banda, led them in a rousing, rollicking shout fest for twenty minutes. The people laughed and trilled and shouted on cue. He used no notes, but he knew what he was going to say. His sermon was part drama, part dance, and began with a solo completed by the congregation. The best I could make out of his sermon was that we don’t let the Holy Spirit cure our soul while all the while we hope he will cure our body; our spiritual ills are left unattended, while our physical ails are spoken with great clarity. Before he gave his sermon I spoke to the congregation. My mission was twofold. I needed to address why I was here and what I believed about the infamous “roof money.” Last year we sent the Malawian youth choir home with $10,000 to pay for a roof on their new sanctuary. Upon arrival a controversy broke out led by some families of the choir that the money was actually for each member and not the church. That I explained this to each choir member clearly and with no uncertain terms before they departed and then to have this arise has been a great disappointment. As I spoke I watched one of the choir members put her head into her lap. It goes without saying that had I come for one or two Sundays, my presence could have been twisted to fit the foolishness that had prevailed. Ten Sundays . . . not so much. Before and after I spoke there was a palpable sense of chaos in the sanctuary. It was more than randomness. I can’t imagine putting everything that was in this service into a worship service in America. There were some wild moments as well as some bizarre ones- a five minute talk was given by a guest who would return in two weeks to provide basic health exams for all the members for a cost of 15 cents. The service was also three hours. Children came and went; mothers pulled out a breast laden with milk to feed their babies; conversations occurred without hushed voices; the offering lasted nearly forty minutes as special attention needed to be given to the members who paid their tithe in grain or fruit or stalks of sugar cane. When an elderly woman walked down the aisle near the end of the offering with ten-foot stalks of sugar cane on her head I realized why such offering came after those with money: it would be dangerous for those in front and behind her. In some ways I feel I have chosen to abide in chaos by coming to Malawi. Yet, I can’t help but wonder if what I have been given is an opportunity to learn, truly, what it means to abide while there is chaos all about. The manuscript for me is like an anchor in the storm of thoughts and images. It is the way I abide in the pulpit. Here though this anchor doesn’t reach bottom. I’m very glad we had a long lay over in Amsterdam on the way to Malawi. I think I learned more about children in that eight hour period than any other stretch of parenting. It turns out that international travel is quite a stretch for young children. They find it challenging to see the danger, the need to be on guard, and to keep moving at a clip. My first clue was when Dave, our youngest, kept weighing himself at the check in counter. He just sat down on the scale and was delighted that he was over the weight limit for our bag. Did he think I would really put him in a bag as I had threatened? That should have been a clear sign that my other experiences of international travel were not going to apply here. Mind you I have seen Dave do many things like this and many things much more challenging than this. Yet I have never seen him be a precocious kid while engaged in international travel. Most situations are a kind of one and out where folks think, kids will be kids. It’s not an incident. Just move on; things can be smoothed over. But that is not the scenario with international travel that is relentless and hectic. When we hit JFK the “can we’s” began. Can we get Dunkin Donuts, can we get pizza? Dave doesn’t realize you have to take care what you eat before three days of hard travel as it can come back to haunt you in small airplane bathrooms. Yet, the kicker for me was when he dove under the belt at the security check line to pick up the change the folks in their right mind had left on the floor because the juggernaut of frustrated semi-undressed folks being harassed by their failure to pull out their laptop or take of those all too dangerous shoes. They weren’t going to slow down a line of thousand for fifty cents. Now, Dave, Dave didn’t think of any of those things so down went. This picture, along with an emerging album full, presented an interpretation: international travel has too many options for children. That was the conclusion I came to after eight hours with them from Syracuse to Amsterdam. There are too many shops, too many people, too many gates, and way, way too many things that catch their attention and off they go. All Dave needs is a general direction and away he goes. Kathy and I tried our best mantra on him, if you are in the lead then you must be the dad. The big moment though began before we even left the driveway at our house. There was the usual grousing over who was going to sit where for the hour long drive to Syracuse. It hit me like a ton of bricks, you guys are going to be in airports, taxis, trains, and any other mode of transportation for the next three days so we can cross an ocean, a sea, and two continents. How in the world are you going to make it if you fight over what seat in the van for an hour? The big moment was: they are not prepared for international travel. To go so far, so fast, you need to let go of any concerns about seats, placements, creature comforts. Two red eyes in a row with an eight hour lay over in Amsterdam is not going to be endured if you are not able to take a seat for an hour drive. But how can you prepare them for such things? You can’t. But now we know, take lots of snacks, keep buying water as if there is an impending natural disaster, and try to explain to them that they are now on the edge. An airport like JFK or Schiphol in Amsterdam is not a place for a leisurely outing as the world is merging into one frenetic horde at each gate. Languages, cultures, and creeds are blurring at an amazing speed and pace. Children are not made for this pace. Yet, I wonder, are we? I think I have found my people (though I never knew they were missing). Sitting on the plane on the way to Amsterdam I looked around and it seemed as if everyone around me was fair skinned, blond haired, and blue eyed. I felt so at home! Amsterdam…what an interesting city. We took a 2 story train to Amsterdam Central and emerged in the city center. What amazing sites! All of the old buildings were made out of bricks and there were canals everywhere. Somehow I missed the memo that Amsterdam was full of canals and hundreds of bicycles. It took quite a while for us to get used to looking for bikes when crossing the street. We were almost run over several times. They zipped around quickly and didn’t seem to stop (even for red lights). Speaking of red lights, we had a very interesting walk going to see Anne Frank’s house. We took a shortcut through a small side street where we encountered some “window dressing”. Somehow neither of the boys seemed to notice the scantily clad women sitting in the windows, but I sure got the feeling that not too many families choose that route on their sightseeing. I don’t know David’s excuse for not noticing (he notices everything), but I can guess Ethan’s was the fact that he threw up on someone’s front stoop 5 minutes later (Amsterdam’s Burger King chicken nuggets didn’t go down well). After borrowing a hose from a houseboat and letting Ethan sit a minute we made our way to the Frank house. It was really a great stop- the content and sobriety level were a little over David’s head, but Ethan really appreciated it. It was after this point that Fred had exhausted his navigational abilities and we wandered the rest of the afternoon in various circles. Regardless of not achieving our intended destinations, we went into some beautiful churches and walked many lovely tree lined canals and felt very, very happy with everything we saw. Being flexible is a big factor in short term missions. The mantra is: it’s not a mission if there’s not a problem. At first blush this sounds like an excuse for poor planning, but it is the reality of too many plans converging into one. With so many factors, so many aspects one or more of them are bound to go south, hit a snag, or just prove impractical. Take bags for instance. When we travel internationally for study or vacation my bag is filled with my stuff. On a mission, my bag is filled with medical supplies, a thousand toothbrushes, and fifty ties to be given as gifts to chiefs and headmen. All of sudden my luggage is not my stuff, but a cargo container. With Africa this becomes even more complex in that I tell people to travel light and then I push the limit of the weight requirement and number of bags each person is allotted. I do this as they are allowed one personal bag- which has many items that are not personally theirs- and one group bag. Each one is filled to the weight limit and then a little more. The group bag is usually a hard plastic bin that can be zip corded shut to insure it wont be easily rifled through or burst open in transit. This 50 lb bin is not a problem until you have eight of them or six of them or four of them depending upon the size of your group. The problem arises when you need to check into a hotel for an overnight. Do you take the containers with you- neither fun or easy after a red eye? Do you trust the fellow at the Nairobi airport who says, “I’ll watch them?” Do you leave someone at the airport to sleep with the luggage? I have never seen a volunteer for this one. Another problem with these bins are the airlines. Thousands and thousands of airtravel can unravel if you fly British Airlines, stay overnight in Nairobi, and then try to finish your travel on Kenya Airways. The problem lies in that BA doesn’t have a working relationship with KA like KLM or AirFrance. And you need a working relationship to get your bags which were packed according to international travel onto a domestic flight and not pay hundreds of dollars in freight charges. Yet, on this last trip, the baggage problem needing flexibility was all my own. I forgot one at the house. It was a plastic bin filled with gifts, a thirty pound power source for our missionary family host, and little things like our emergency medical kit. At the Syracuse airport we realized the oversight when we told the folks at Jet Blue we had “eight” bags when in fact we had seven. A quick call was made to Watertown. There was an hour before the jet would be “sealed” and the TSA wouldn’t accept any more bags. A “volunteer” set off at a furious pace. It got even more complicated that Jet Blue didn’t have another flight going to JFK until Monday morning when we would be in Nairobi. The airlines are fussy about your bags flying with you (they are not as fussy about you not flying with you with your bags). Long story short our plastic bin arrived at Syracuse five minutes after the plane was “sealed.” I begged, pleaded, played the missionary card but to no avail. Even though I saw the baggage guys stand around our plane with the cargo doors open for the next twenty minutes, those were the rules. It may sound strange, but I struggled to be flexible to accept the rules. I wanted the rules to be flexible like a mission trip is supposed to be. Now I know one traveler’s needs shouldn’t trump a plane full of folks- but we took off ten minutes early from Syracuse and landed 35 minutes early in JFK- does there seem to be a bit of wiggle room there? Does to me. “That is the rule, sir, there is nothing I can do,” was what the young man said to me over and over again. I wanted to say, “but we are going to Africa for three months where ‘the rules’ are not as inflexible.” I wanted to say, “hey, TIA (this is Africa) man.” He didn’t get the memo about being flexible. Now, the bin will arrive three weeks hence. It will all be fine. The presents Kathy had picked out so carefully will be as duly received then as they would have been had they been presented walking in the door. We know that. Still I moped all the way to JFK. On our second red eye in a row, David and I fell asleep before the plane took off from Amsterdam. At some point in the middle of the night I woke up and looked at Ethan across the aisle to check on him, he waved and continued on watching National Treasure (did I mention middle of the night??). Fred was some ten rows up torturing people with his snoring and sandalless feet. I went back to sleep and woke up in Nairobi. We stumbled off the plane onto a tram and went into the terminal to find out that they had rerouted us. Instead of going from Nairobi to Lilongwe, we went from Nairobi to Tanzania to Blantyre to Lilongwe. When we finally arrived in LLW our luggage was shockingly M.I.A. We did however find a lady from Nairobi who had wanted to go to Blantyre and they flew her to LLW (Is it possible they gave her one of our tickets??). Tuesday, June 10th-I love Africa! It smells like Mexico with it’s dry heat and small brush burning fires. Even the flowers are similar to Southern California and Mexico- bouganvillea, verbena, poinsettia, vinca, oleander, and more. I don’t know how many pictures I took at the airport today while we were there checking on the missing luggage. We ate Mediterranean pizza for lunch and hotdogs and Lay’s spring onion and sour cream potato chips for dinner with apple slices. Not a big stretch on the food front, but we are still in the capital. Tuesday evening-Rumor has it that they have found our luggage in Nairobi and it will be on the 12:20pm flight tomorrow (Wed.).We have not seen our bags since Saturday. This might be a stretch for you to imagine, but on the last leg of our trip to LLW I was sitting between Fred and another man and there was an earthy smell about our row. I was hoping it was one of them but, alas, it was not. I am becoming Malawian. This may seem odd but this was actually one of my goals- to see what it looks like to become more natural (I’m not in any way ready to give up my razor and I wouldn’t mind a curling iron or blow dryer to curl my bangs under though). Baby steps. We’ve just started our 10 weeks. This was the frantic question asked again and again by ten people as they formed a small mob around one of the Kenya Airlines desks in Nairobi. With each paltry response they groaned as one. And then when the woman behind the desk said the next available flight was in two days, well, they went a bit crazy. Such a minor mob would be enough to cause a scene in any US airport, but there were four other stations at the transfer desk and each one had their own. I was part of a such a fracas at the other end. I was told there would be a seat for me on another airline going to another city than my destination. With the shouts and groans of the folks trying to fly to Mumbasa, my confidence level that we would find yet another drama in our new destination of Blantyre seemed high. Another level of anxiety for me was our luggage. KLM refused to check past Nairobi as that would exceed the maximum number of hours they felt obliged to handle it. The woman at the desk at JFK assured me with a condescending glance that of course my luggage would be fine. There was an air of “we do this all the time.” Something in my gut told me you don’t really know the chaos you cause all the time. Sure enough its two days since we’ve landed in Malawi and Kenya Air has now determined that our luggage should be somewhere at the Nairobi Airport. The official in Lilongwe described the next step as a “physical search.” A part of me wanted to say, well, good because metaphysical is out of the question where luggage is concerned. The goodnews is that we made it to Lilongwe even if our luggage has not. A big part of me keeps praying that the bins with all the medical equip arrive. The pittance Kenya Airline will give us if the bags are lost can buy some new clothes- it will not cover the near $70,000 of medical supplies and equipment in the group bags. Being stylish in Malawi is not a major concern; an orthopedic surgical kit ready for an autoclave. They repeated the question of the Mumbassa people to me, only with a lilt of disillusion rather than outrage. “I thought when I bought a ticket that meant I was given a seat.” They were ready to blame technology; they were sure it was the computer’s fault. I gave a bit more cynical view. “Maybe someone offered to pay more for your seat and the people at the airport said, “that will be fine.” That is exactly what I believe Air France did with my ticket. I base this belief by the incredulous look of the man at the transfer desk at JFK. I told him my flight had been cancled to Paris and his eyes suggested part pity and part disgust with such naivete. With the current status of airlines and their all too public woes I am beginning to wonder if buying a ticket with any of them is more akin to buying a lottery ticket. It is as if I am buying a metaphysical ticket, the ideal of a ticket, that may materialize in some form, in some way, at some time. That is about a good a spin on this as I can muster. On June 11 Kathy wrote: Two interesting things happened last night. The first occurred when I went to brush my teeth. I flipped on the light (which was an improvement from the night before when we had no electricity) and swore I saw something scurrying across the floor. I thought that maybe I had imagined it. Within a few seconds the biggest cockroach you’ve ever seen comes creeping out from under a towel David had left on the floor. There are two choices at this point- I chose to suppress the scream because in the end this will save me a lot of grief from not having to deal with two freaked out young boys. I decided I had one shot to smash it with a 5 liter water bottle, I, of course, missed making a loud smashing noise. I said, “Oops”, and no one ever asked what the big noise was. I thought this was odd until I remembered the night before that Fred had broken a louvered window slat trying to kill a mosquito in the bathroom and I hadn’t noticed that until I saw the broken glass the next morning. What sort of insect will we find tonight?? The second odd thing that happened was that while I was laying awake with insomnia (a very RARE thing for me), David started singing in French while asleep. Does anyone else find it strange that my 8 year old American son is singing a French song from a movie set in India while sleeping in Malawi, Africa? Right now the boys are out playing soccer with the security gate guard’s children, Sarah, and Frederick, and most likely arguing over terminology. Ethan insists that while we are here he is going to refer to Soccer and the soccer ball as “Football”. This is very bothersome to Dave as we are not African. Besides this small glitch, they are getting along very well except for when David climbs the bunk bed ladder and stares at Ethan while he’s trying to read. The idea of a sabbatical was never appealing to me. I had envisioned a sabbatical as one of two things: holing myself away to write and then writing nothing as I would lose the rhythm of life, or, going into some sort of monastery like setting seeking some sort of solitude. Perhaps the former would have proven untrue; perhaps life has a way of following you no matter where you land. Perhaps I could have been successful in terms of writing, but monastic silence? Not a chance. A good friend of mine did that as part of a sabbatical. I mentioned to him the likelihood that monks would have communicated to me my need to leave after a few too many failures to be silent. He said, “yeah, you wouldn’t have lasted.” So the image of a sabbatical loomed as either frustration or failure. So why in the world would I take my wife, four of my five children, and a niece across continents and large bodies of water to experience frustration and failure with me? It all began with a question of abiding. Abiding became an image, a question, a dream. At first the image was of staying put, of digging in. I have surpassed the length of time I have stayed in any church- we tend to be four and out. Yet, where I was ready for change, for a new challenge in the past, in Watertown I felt like I was just getting started. Abiding, then, became a question of can I stay put? If I learn to abide will I remain? I began the sabbatical process over a year ago by exploring the way the word abiding occurs in the Bible. In both the Old and New Testaments “abiding” has a very practical meaning of lodging, resting for a time during a journey, or simply being in the midst of. Yet, surrounding these basic meanings is a theological dream. There are echoes in the Old Testament of a God as vision and glory that comes and remains upon the tent of meeting; there are stories of angels coming to “lodge” for a time. The new testament has these images as well, but it also has an author and two long sections that treat abiding in a way that is much more than all the rest. John, whoever he may be, the one who wrote a gospel and three epistles, treated abiding as a whole new idea, a whole new way of being. For him it wasn’t staying put for a time, it was coming to be in God. This new way of being, though, as it was written by John, is ever cryptic and illusive. Jesus tells his disciples to “abide” in him without any example, without any explanation. Most importantly, he tells his disciples to abide in him hours before he is crucified. This was a great challenge to my earliest notions of abiding. How can abiding be a kind of digging in, staying put, enfolding oneself into a community if Jesus told his disciples to do this in a town that was not their own, in an hour of great turmoil, and just before he left them? What sort of abiding is that? It was with great lament that my hope and dream of abiding was nothing what John had intended to convey. In fact he offered a picture that was contradictory, even repudiating the desire to stay put. For that reason I decided to explore abiding for what John intended, not what I sought to arrange in terms of my life in ministry. From this point on “abiding” took on a life of its own. Abiding has become more a sense of being present; its finding peace in work and rest; its knowing I am in God and God is in me no matter where I find myself.